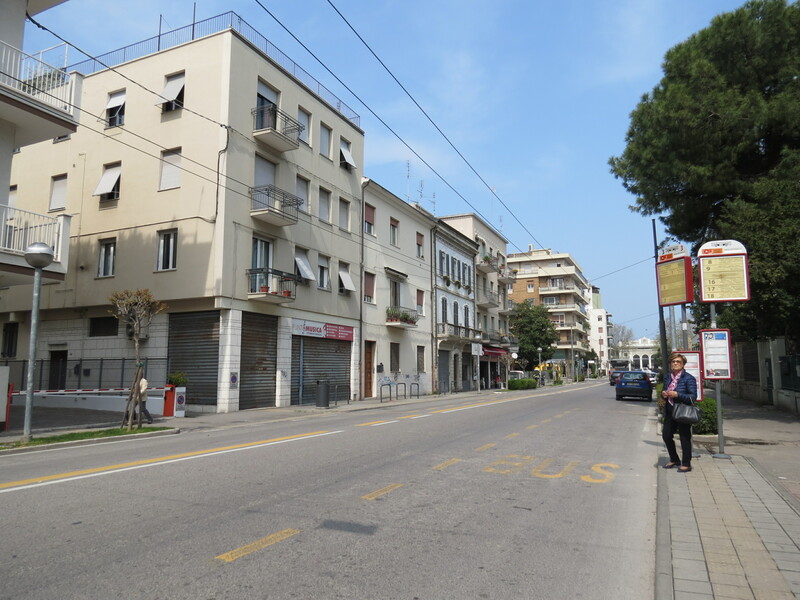 When I was planning my trip to San Marino, I knew I had to stay in Rimini, since I had to catch the train to Bologna and a flight to Brussels the day I was leaving and having to rush early in the morning from San Marino wasn’t even an option. Thankfully, I found one of the most convenient hotels I’ve stayed in. 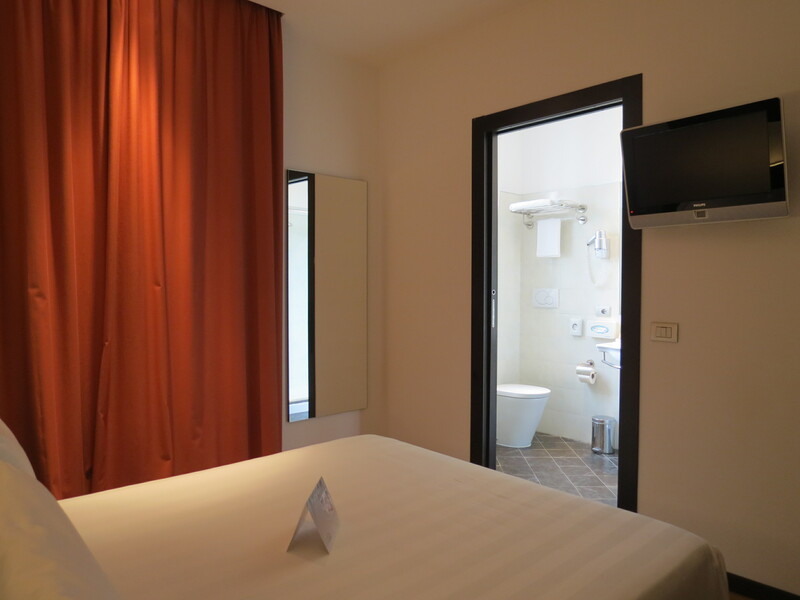 Although Rimini isn’t a tourist attraction and I’m not sure who among my readers would find himself/herself in San Marino one of these days, I still thought that writing this review on Hotel Card International might be of help to someone one day. The main reason why I chose the hotel was its proximity to the train station, although there was another option or two, this was the nicest one among the three hotels based on the reviews I read. 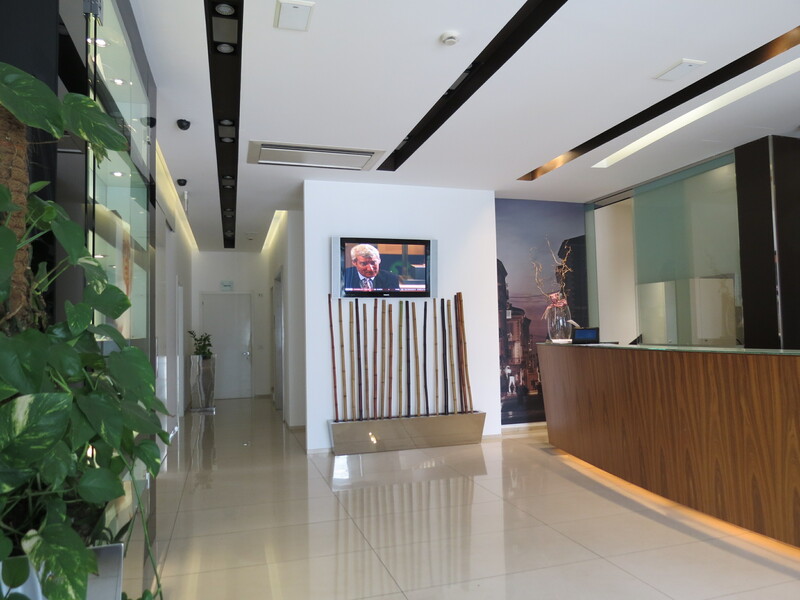 True enough, Hotel Card International is located on the street fronting the station and is within several meters, about a less than five-minute walk. From the hotel, you can actually see the train station. As soon as I entered the lobby, I was pleased. 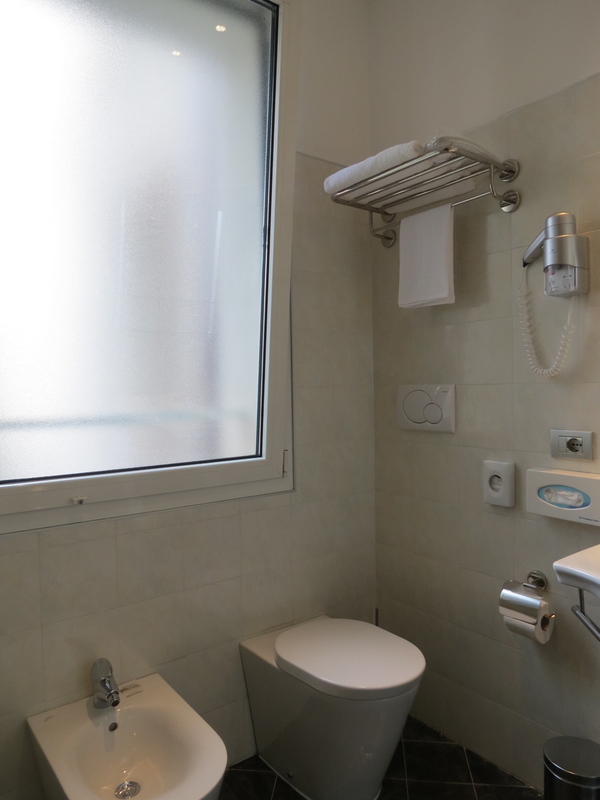 The Italian standards for hotels is frustrating and having stayed in less than average hotels in Venice and Rome prior to this, made me realize how lucky I was to be staying in such a charming hotel before flying out of the country. 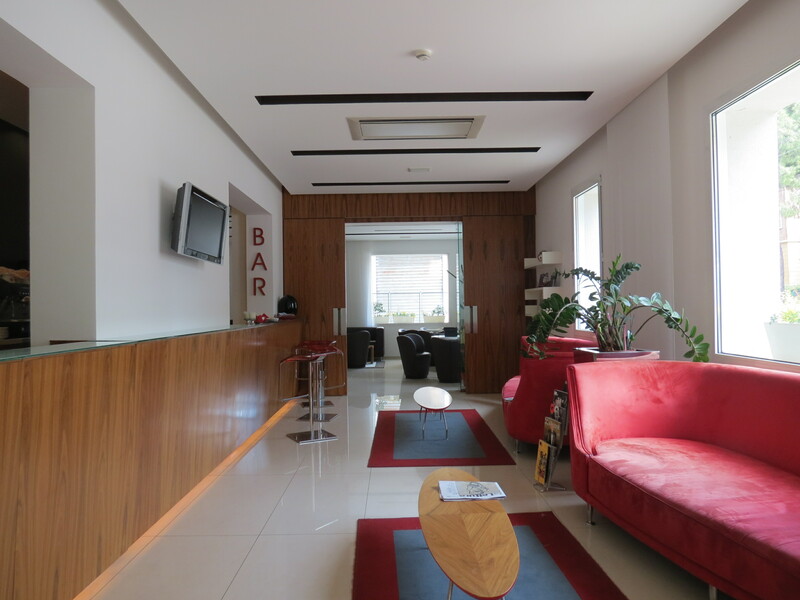 The lobby is simple and minimalist and the concierge, Patrizio, was very accommodating. You can easily ask them how to get to San Marino and they’ll show you a timetable of the buses departing from Rimini. When I opened the door to my room, I was even more impressed. It was rather spacious, and again, this is based on European standards. 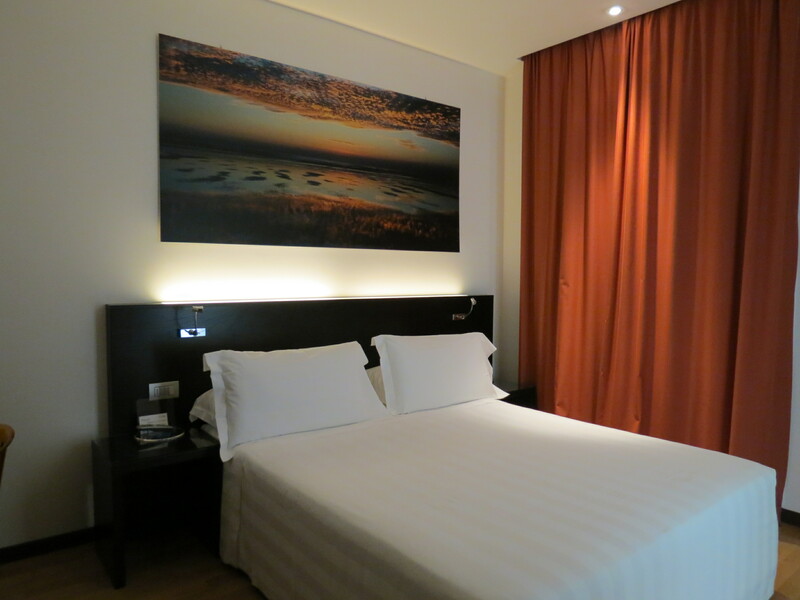 The interiors were consistent with the lobby being minimalist, and the painting above my bed was a fantastic touch. 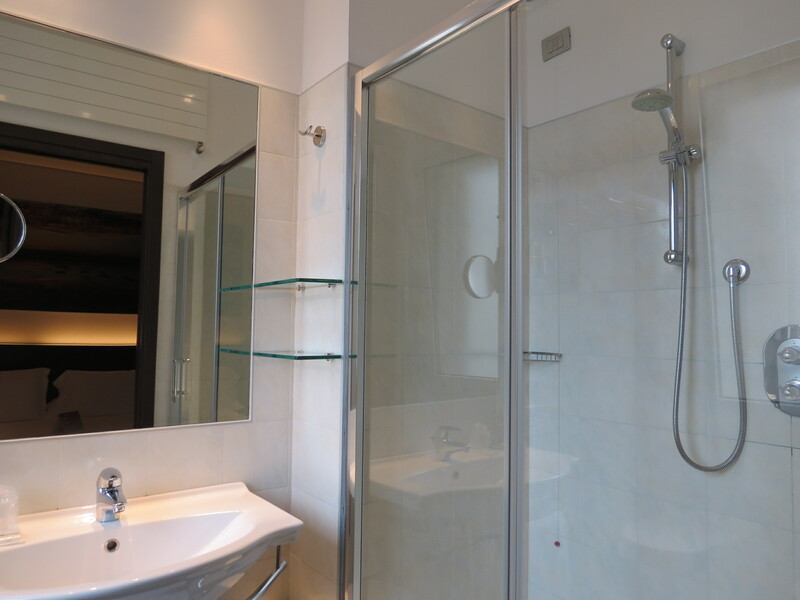 The bathroom was pleasing to the eyes too, with a complete set of toiletries and towels. It was immaculately clean, which was an absolute delight for me. 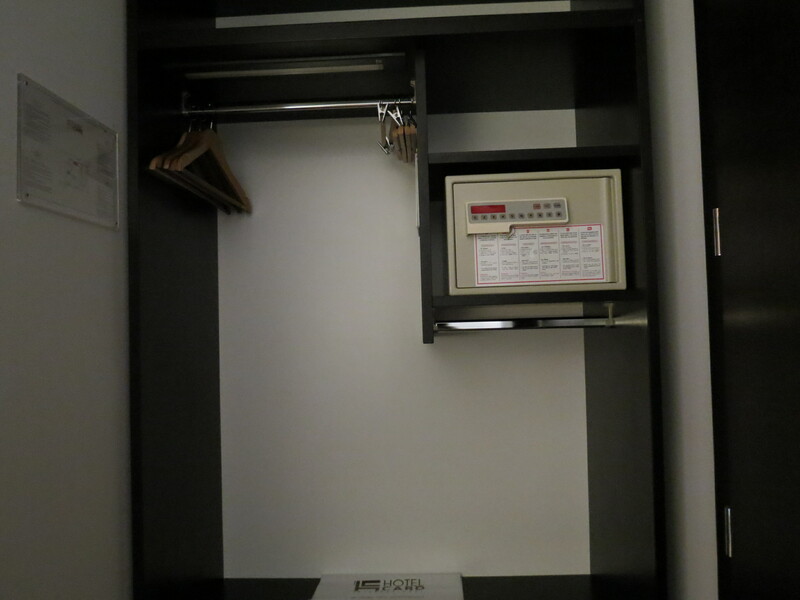 The room, which already impressed me at first glance, houses an open cabinet, a security safe, a television, a long desk with two chairs, and a small fridge with drinks (that you’d have to pay for, of course) – everything you’d need in a hotel room. Free and reliable Wi-Fi was offered throughout the hotel (and inside the room) too, which was a big plus for me considering prior to this, I spent more than twenty Euros having to pay for Wifi in the hotels I stayed in. 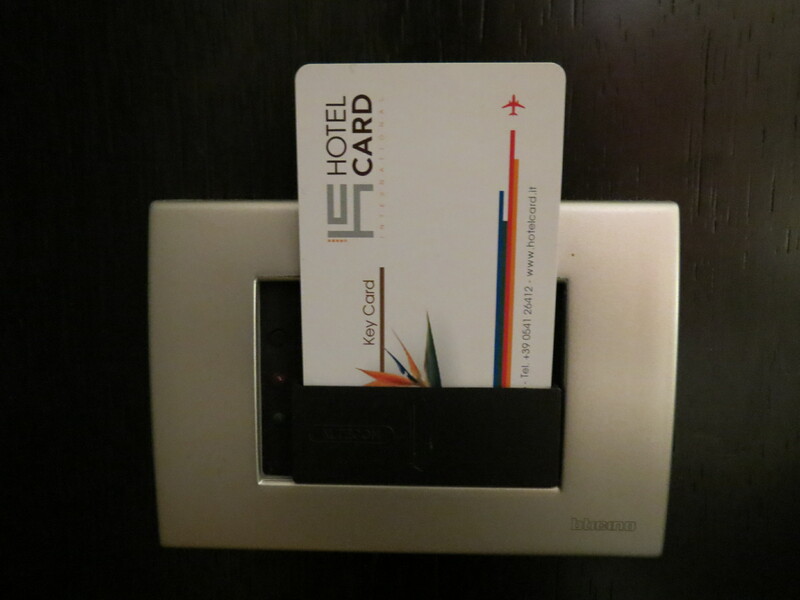 Hotel Card International is not only conveniently located, but the area is safe too; as I walked from the hotel to the train station at five in the morning alone! You could also request to take the complimentary shuttle though, but would have to inform the concierge at least 24 hours before. Also, since the rate I paid included breakfast, but I was leaving before breakfast hours, they willingly prepared a breakfast box for me, which could have fed two people. I doubt I’ll ever be back in this area of Italy, but I honestly would love to go back just to stay in this hotel once again. 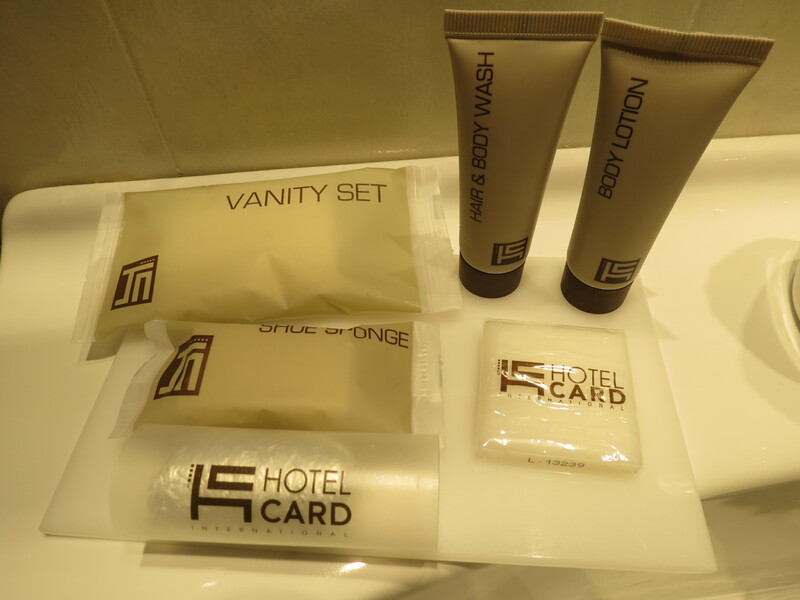 I highly recommend Hotel Card International to whoever plans to visit Rimini or San Marino. 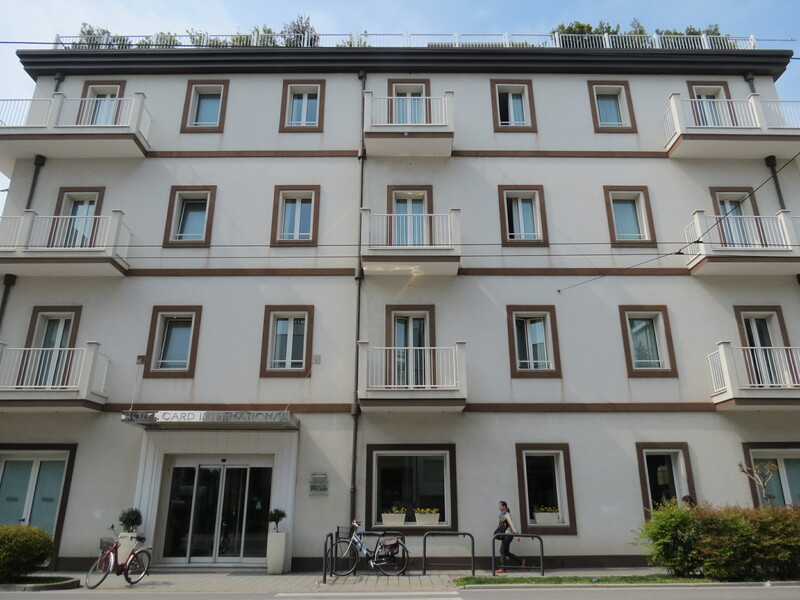 Within a less-than five-minute walk from the train station that also fronts the bus stop for buses heading up to San Marino; a convenient and relaxing stay is definitely one you’d get from this hotel.